Here’s your chance to get in on the newest, super-cool, snow sled. The Scion sled from Snolo, the makers of the Stealth-X, is a fast, high-performance sport sled. They describe it as “inspired by motorcycle handling and F1 race car design, the Scion sled will carve the mountain as gracefully or aggressively as you can handle”. Available in Dark Matter Black and Close Encounter White, it is constructed out of high density polyethylene with stainless steel and alloy runners and comes with a more affordable price tag compared with the Stealth-X. 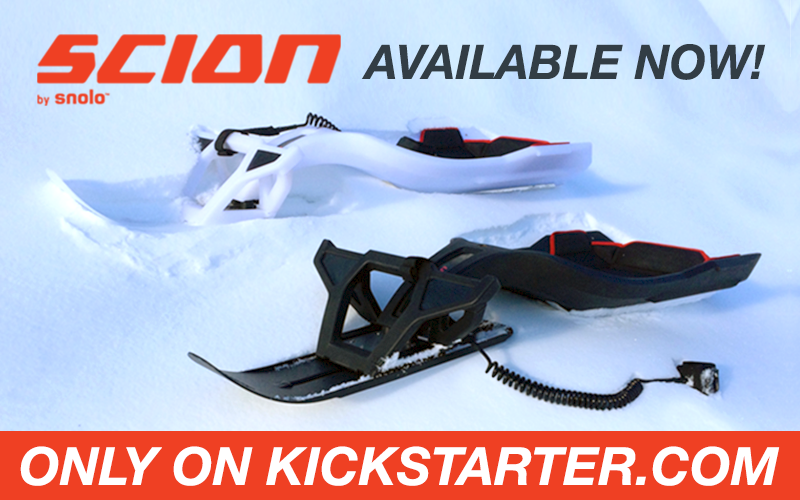 Join Snolo’s Kickstarter campaign and be part of this “revolution in snow sledding”! Editor’s Top Finds of 2015: Celebrating the Cold Weather!